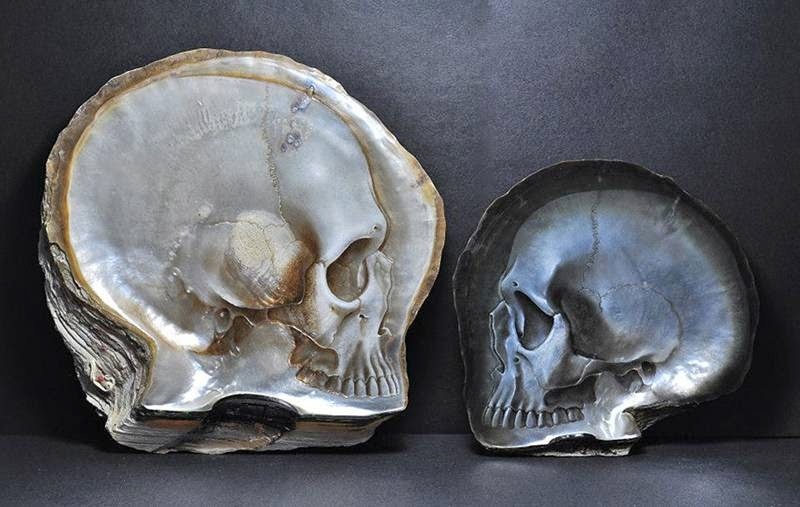 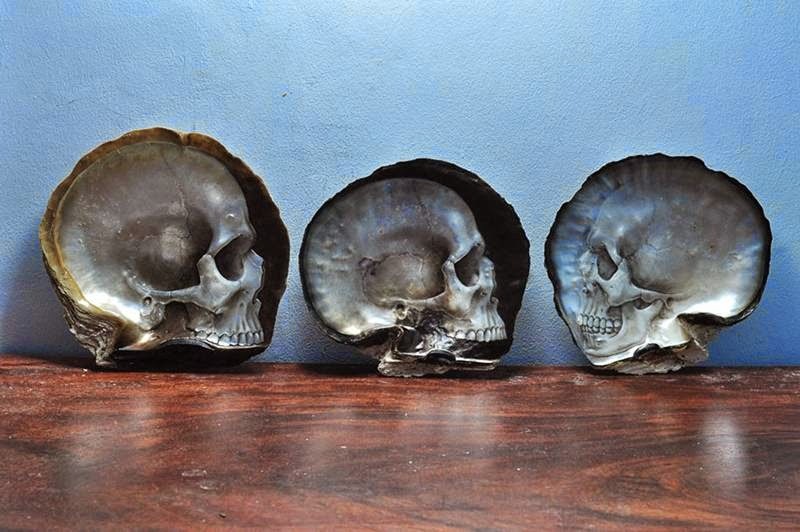 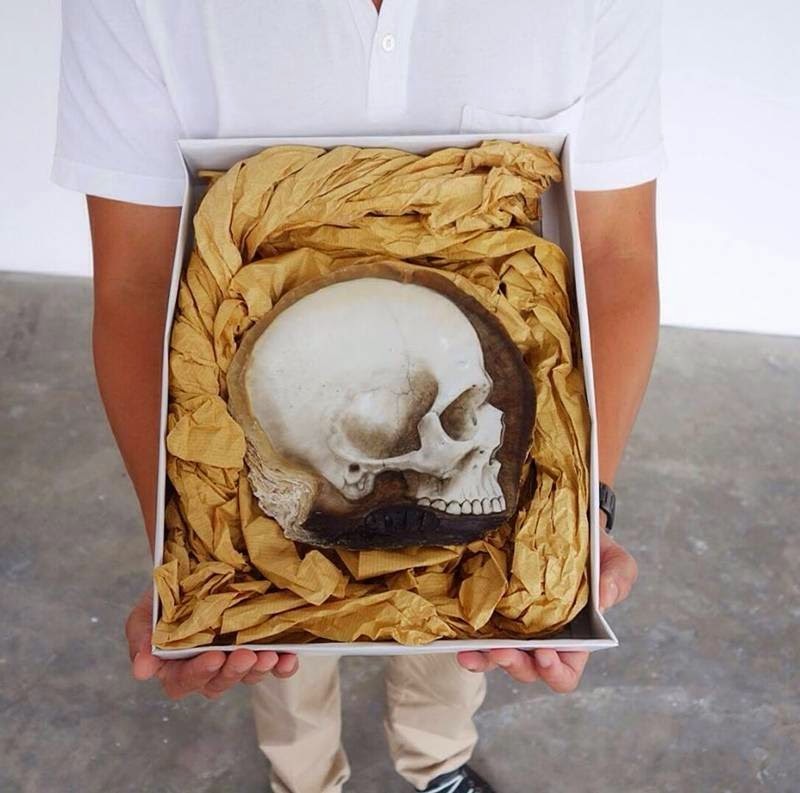 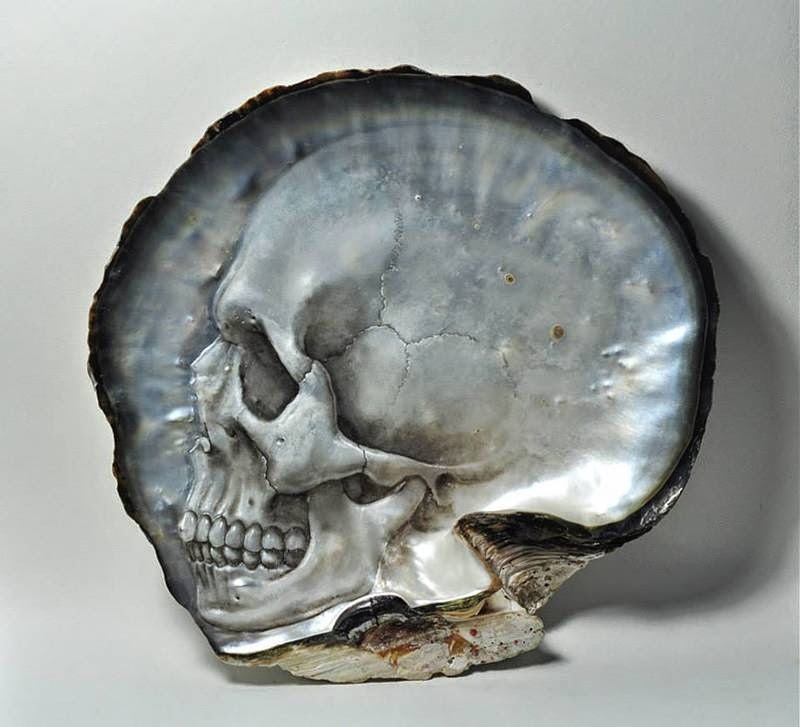 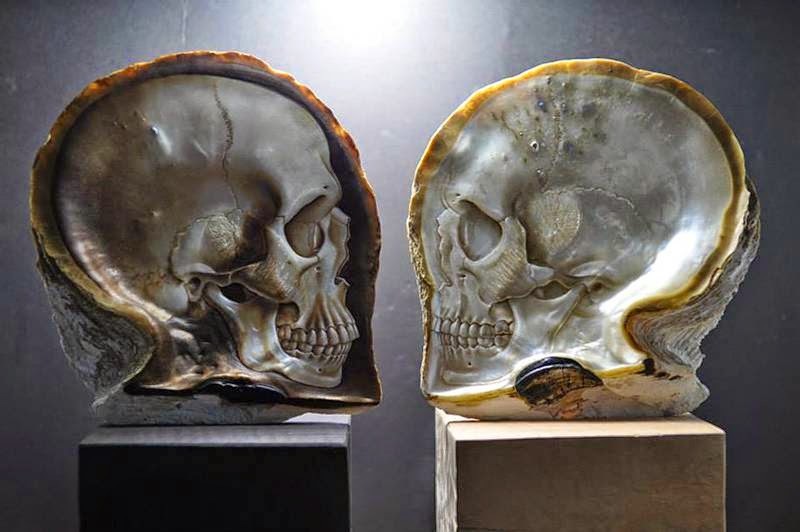 Skull Shells by Gregory Raymond Halili - was born and raised in the Philippines, where his formation as an artist was influenced by the flora and fauna. 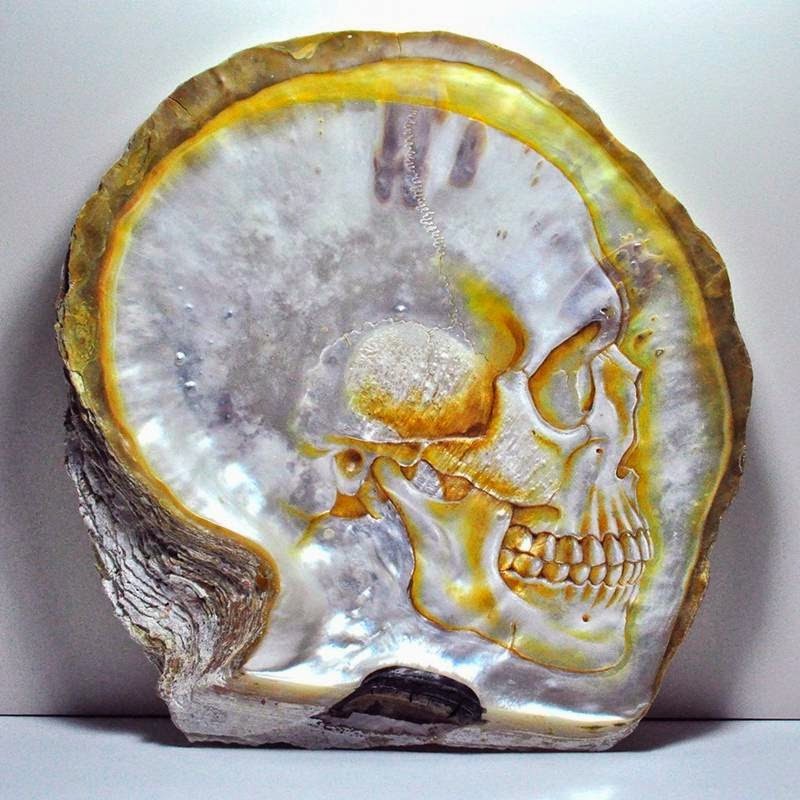 Today he lives in New Jersey and has been creating wonderful paintings directly on the side of pearl shells. 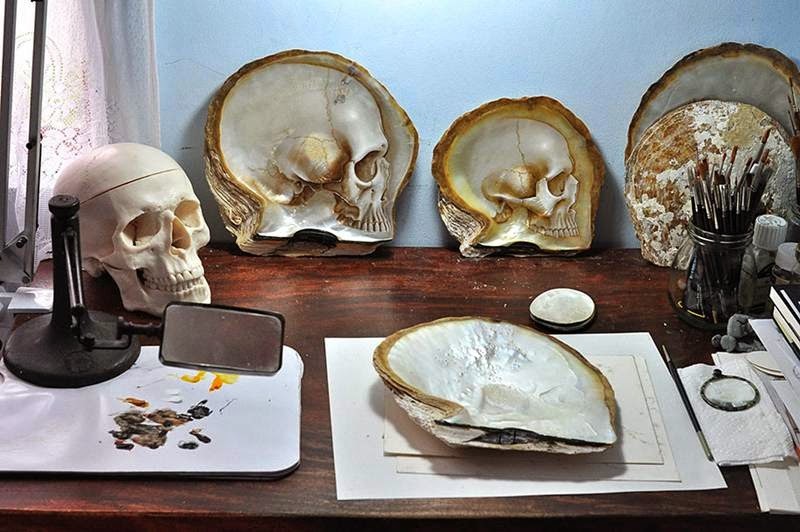 For the beginning artist carves the shape of skull and then oil prescribes details. 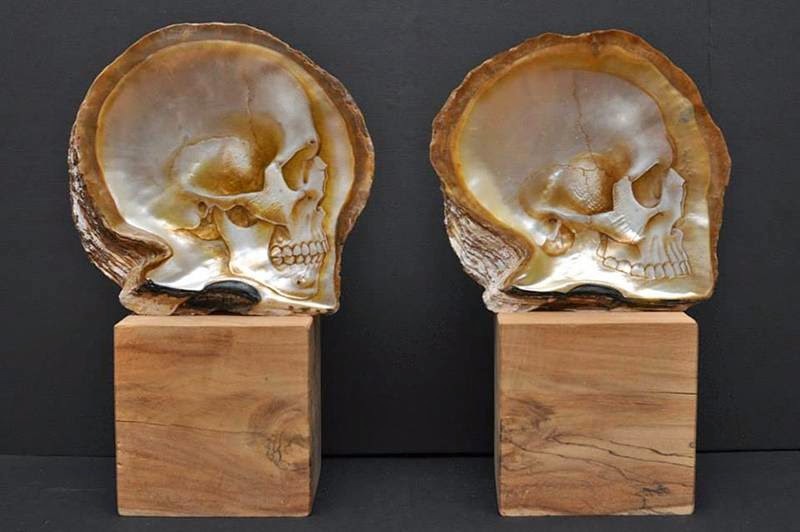 As a result, leave the original miniatures, subtly conveying the inseparable relationship between man and nature. 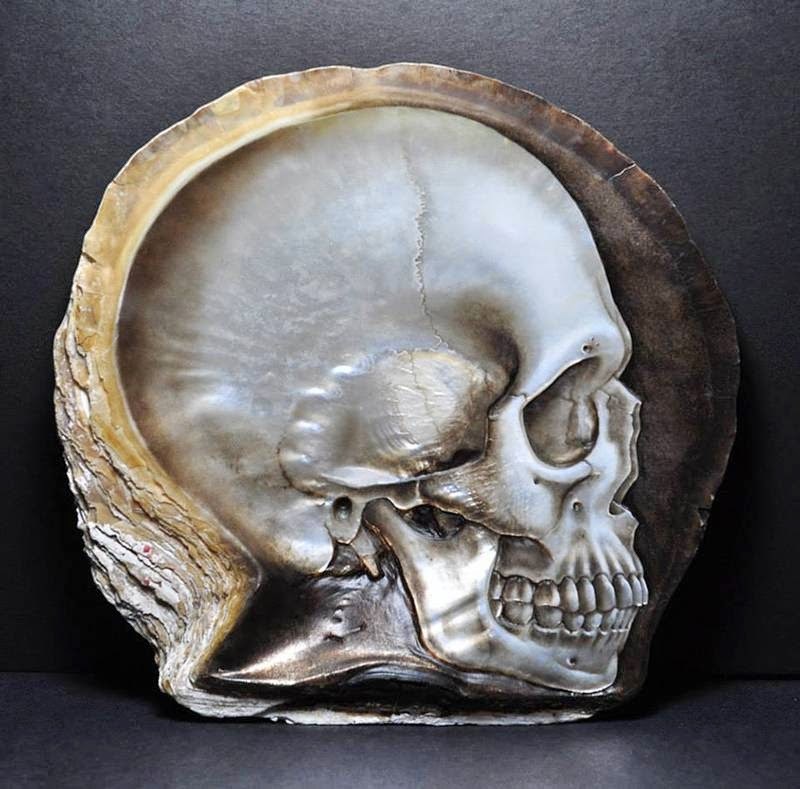 Recent work by Gregory Halili can be seen in galleries Silverlens in Manila as well as in galleries Nancy Huffman in New York.